New pst mod - SolarChat! 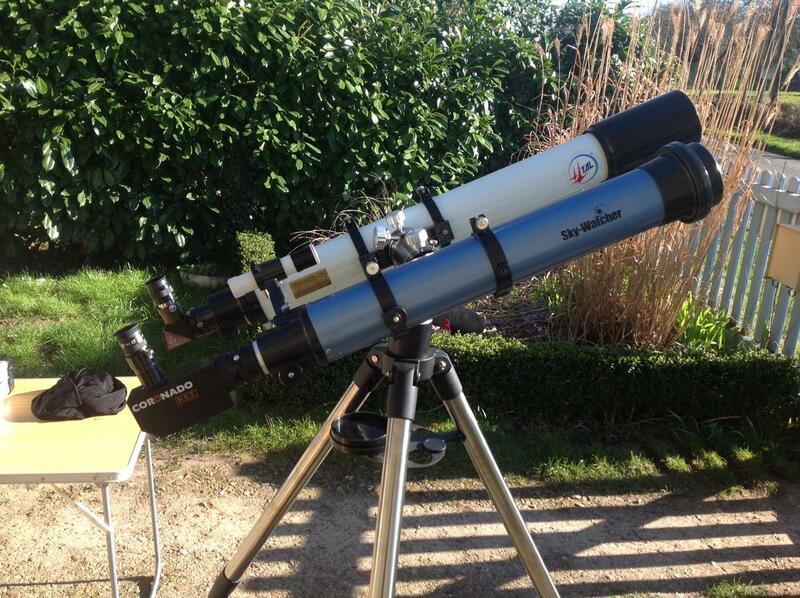 I present my mod pst with a telescope skywatcher 102/1000,Filter D-baader erf in telescope. Looking good, well done on the modification. Hi Manu, it looks like you may have kept the dew shield on, is this the case? 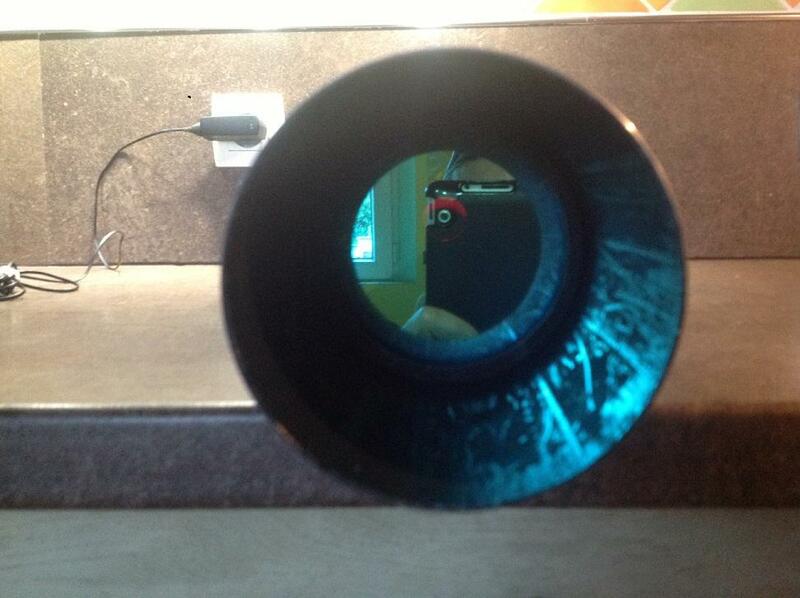 Very nice job on your mod, looking at doing mine in the next few weeks with a Evostar 90mm, thats why I ask. I am unsure whether to take it off or not, I intend to order a custom cell from Teleskop Express when I order the D-ERF. 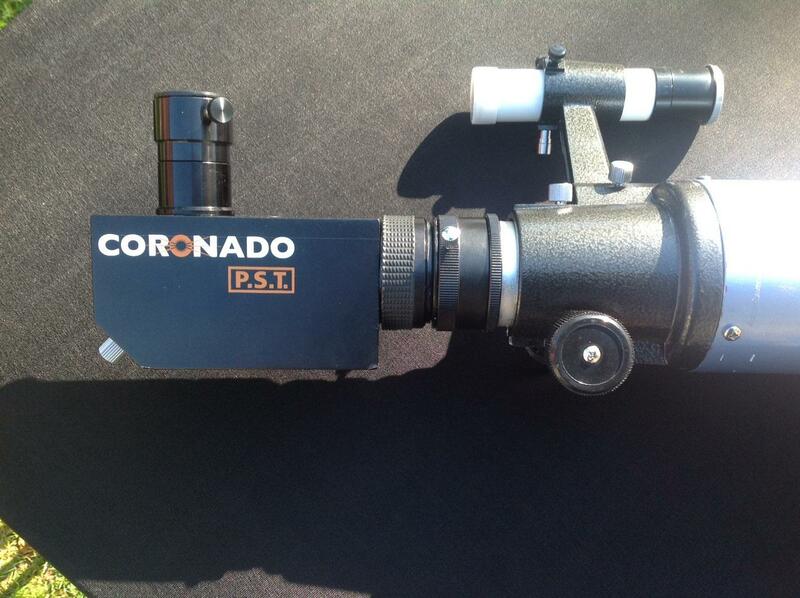 I am wondering if I keep the dew shield on I can use the dust cap that came with the scope and keep the cell and DERF in a safe place. If I remove the dew shield and have the cell and DERF next to the objective then I am concerned about dust and scratches on the DERF. 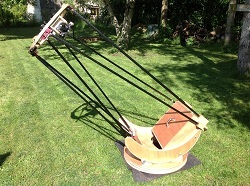 I see that your DERF is inside your telescope but my DIY skills are not up to that task so want to keep it simple! stevil wrote: Hi Manu, it looks like you may have kept the dew shield on, is this the case? the dew shield on the telescope in white light. Really, no need to worry about this too much unless you have it in close proximity of a Stihl saw cutting up breeze blocks. Normal day to day dust is fine. Many thanks, that's good to know. 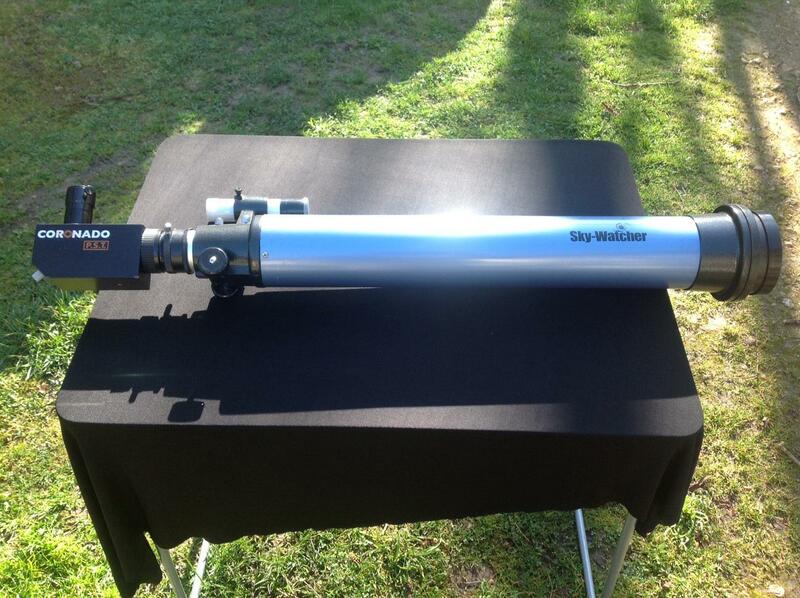 Hello Manu, Can I ask please how the Baader D-ERF is being held onto your Skywatcher 102/1000 refractor ? What diameter is your D-ERF ? 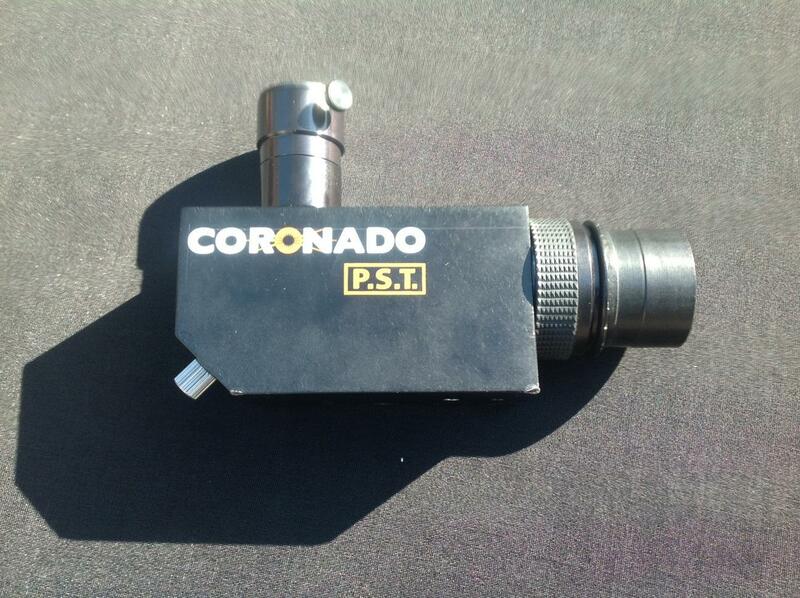 Is it mounted inside the telescope OTA tube, or is it instead mounted at the front of the telescope? What brand and model number of D-ERF cell are you holding the D-ERF in with (or is it "home made" / 3D printed?) ?